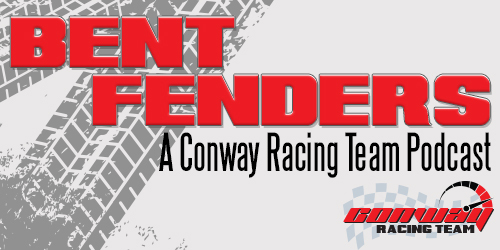 Welcome to the official website of the Conway Racing Team! Conway Racing Team, one of the Tri-State's up and coming stock car teams is excited to welcome you to our new corner of the internet. We are a stock car team based out of Whitesville, Kentucky racing around Western Kentucky, Indiana, and Tennessee. Get to know Nathan Conway, driver for the Conway Racing Team. Learn about our values, beliefs, and how you can be a part of it all. Are you a business and want to be more involved as one of our official sponsors? The home of the most engaging podcast on the internet. All the motorsports interviews you need to hear!